The art project “Cast Away” originally set out to explore the powers of the sea, specifically how it changes the quality, texture and form of different materials and enables lost objects to reappear and have new meaning to new finders.With Cast Away the most important materials are 30 million year old amber and different kinds of driftwood. A theme in my previous work has been to combine natural forms with manmade ones, and with Cast Away I seek to give this subject even more emphasis by adding new layers to it. 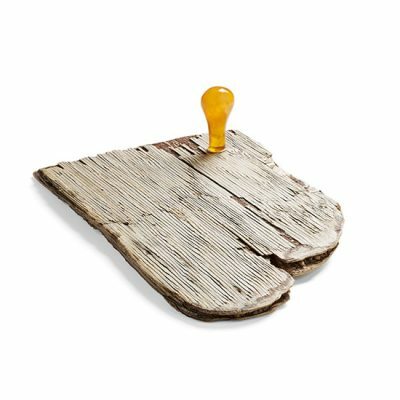 Therefore, I use wood from ship wreckage. 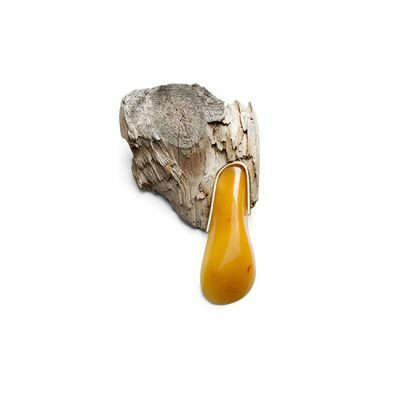 The wood originally comes from nature but is later manufactured into a ship by men. The ship is then torn by apart by nature and the pieces of wood are reshaped by long periods in open sea. 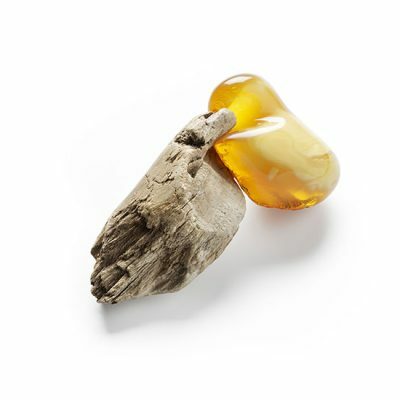 The combination of this wood and the ancient amber crafted, given shape and polished by my hands makes sense to me and I like how both amber and driftwood represent untold stories and interact with time itself. The larger aim with Cast Away is to create new objects with references of different eras and different cultures that are bound together by the random currents of the vast oceans. In order to emphasize the oceanic feel of the project I started to experiment with marine varnish. I wanted to be able to create the effect of wood being wet in different ways. 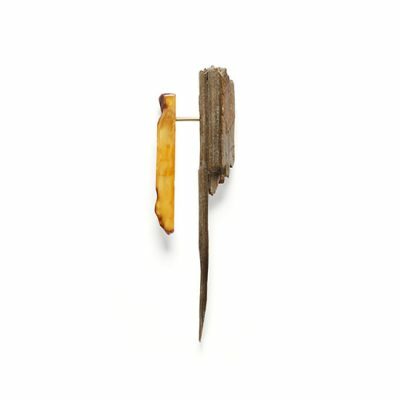 With one pieces I wanted to make it appear as if the wood had been floating on the surface of the sea I chose gold as my precious metal for Cast Away. It is primarily used for the brooch mechanics on the backside of each piece and at places where the gold is visible from the front, I made the thread squared. This technique provides contrast, gives the pieces edge and constitutes a rigorously tight look against the organic, natural materials. I chose gold over other metals because it fits the story of the big ocean and the shipwreck theme. To me, the gold is in the treasure chest on the bottom of the sea, so to speak.